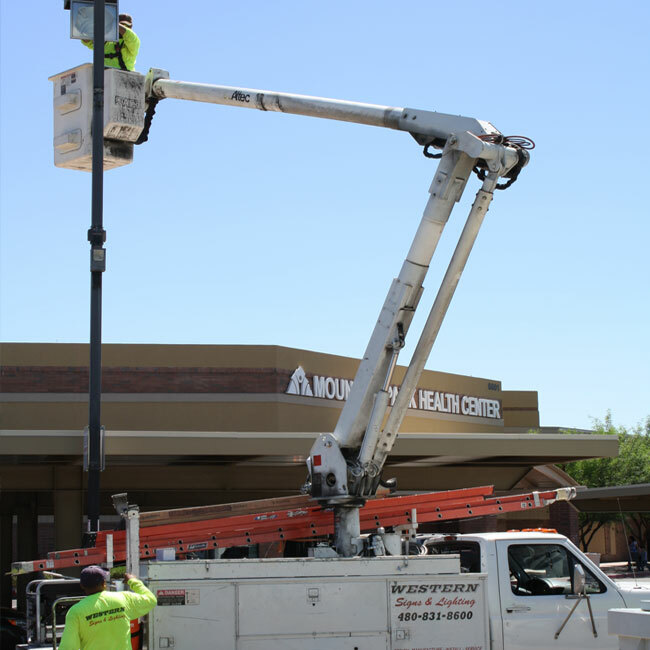 If you are searching for commercial sign repair or maintenance in Phoenix, Mesa or Chandler, Western Signs & Lighting, Inc can help! 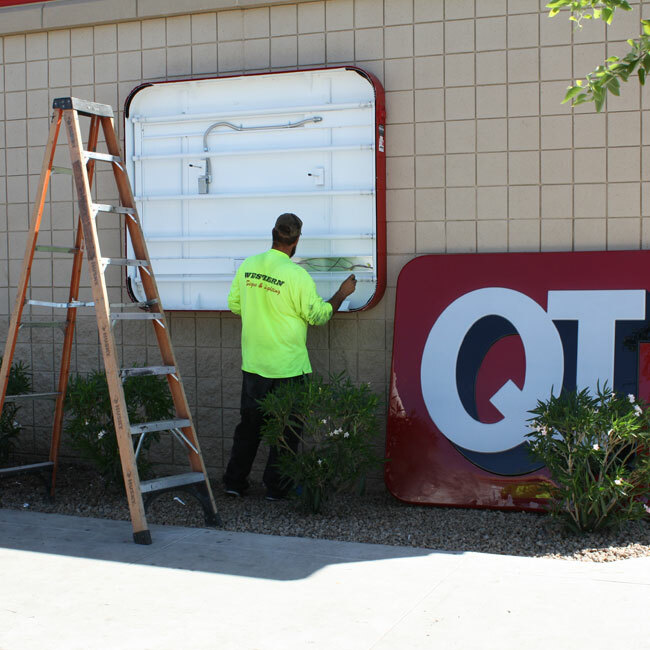 Receive a free sign maintenance or repair estimate by giving us a call today at 480-831-8600. Common search phrases used to find our sign repair and maintenance services include: Sign repair, sign repair near me, sign repair company near me, sign repair companies near me, sign maintenance, business sign maintenance, outdoor sign maintenance and indoor sign maintenance. Your sign is typically the first thing your customers, and potential customers see. Great efforts are taken during the design, fabrication and installation of signage to ensure that the first impression you make with your sign is a great one. When signs fall into disrepair it can be seen as a sign that the company isn’t doing so well, or just doesn’t take care of business. Match the exceptional service that goes on inside your location with a sign that is working properly and is in good repair. 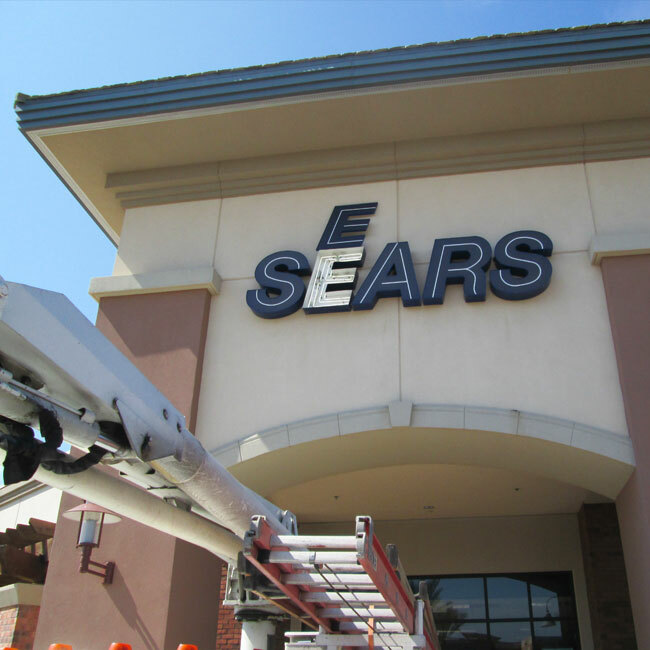 If your are experiencing problems with your business signage, Western Signs & Lighting can help. 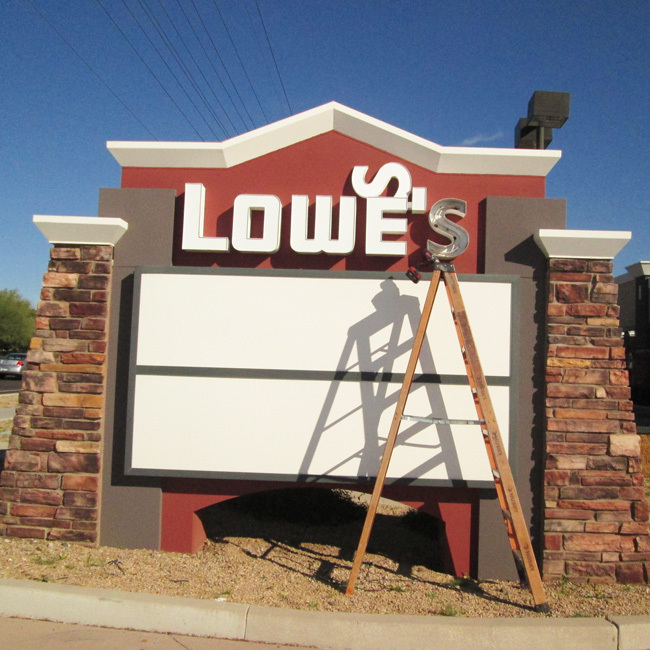 We offer professional sign maintenance and repair services to the entire Phoenix valley area. We can keep your business signage well lit and looking beautiful all year round. Trust the signage experts at Western Signs & Lighting to handle all of your business signage needs. 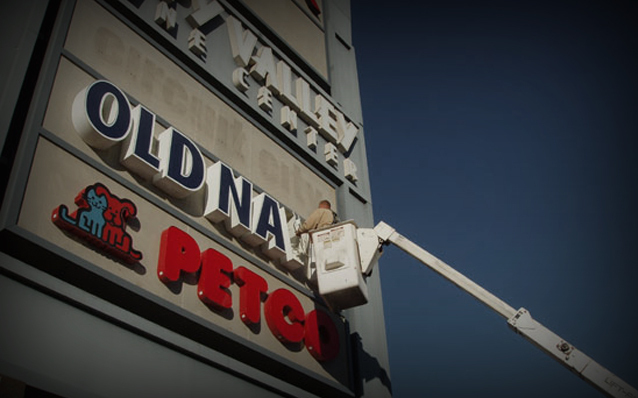 We specialize in outdoor and indoor sign maintenance and repair. We provide all types of sign repair, maintenance and upgrade services including: Sign installation, sign repair, sign inspections, sign maintenance and cleaning, new sign faces, sign electrical repair, light bulb replacements, sign re-finishing, sign re-positioning, channel letter repairs, upgrades to energy efficient signage, sign re-facing, lift truck sign repair, sign re-lamping, neon/argon replacement, LED sign conversions, LED replacement, storm damaged sign repair, sign face replacement, sign removal and disposal, emergency sign services and more. LED’s have become a staple in the sign industry. LED’s use 1/3 the power than neon, so the savings is bright and clear. Everything has become low voltage vs. high voltage. Service calls are significantly reduced when compared with neon. If you are having frequent problems with your older neon sign (yearly costly up-keep) it may be time to consider switching to LED’s. 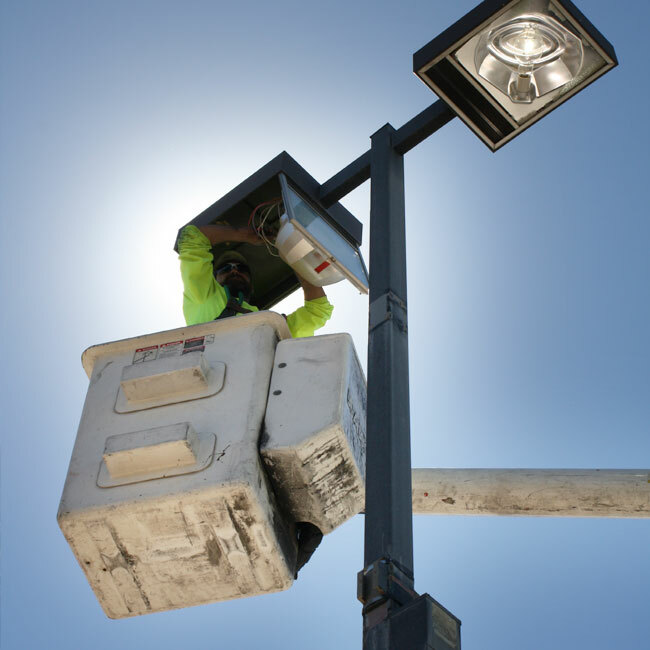 The same goes for parking lot lighting and building security lighting. This afford your business the visibility of signage without having the higher electrical costs of other lighting options. 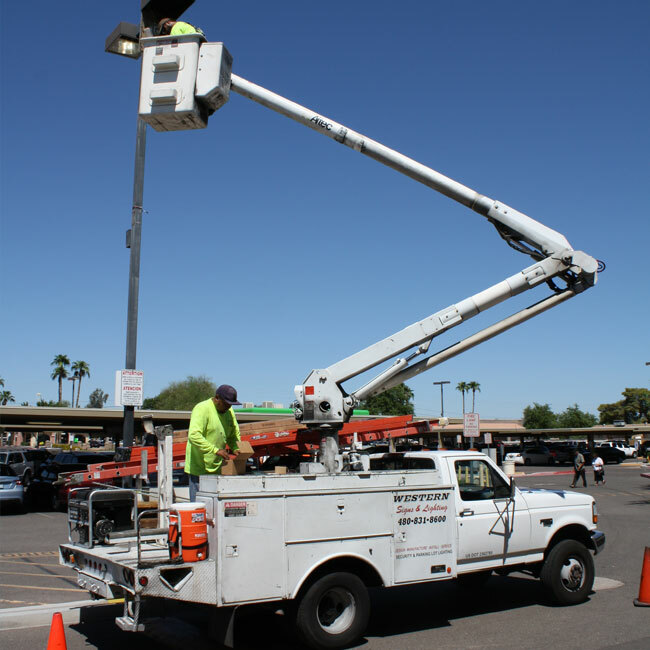 We offer sign service, repair and maintenance to most areas in the State of Arizona, including Phoenix, Mesa, Chandler, Scottsdale, Gilbert, Tempe & Glendale. 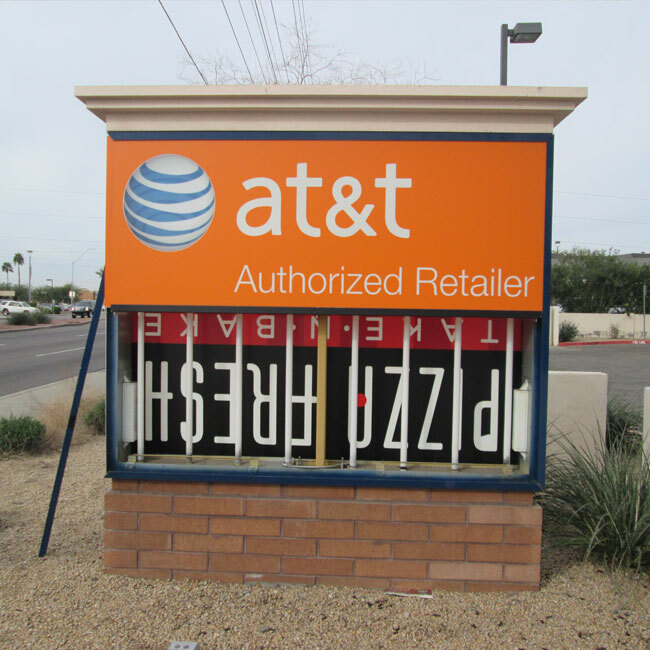 Receive a free commercial signage quote anywhere in the Phoenix Valley by giving calling today at (480) 831-8600. 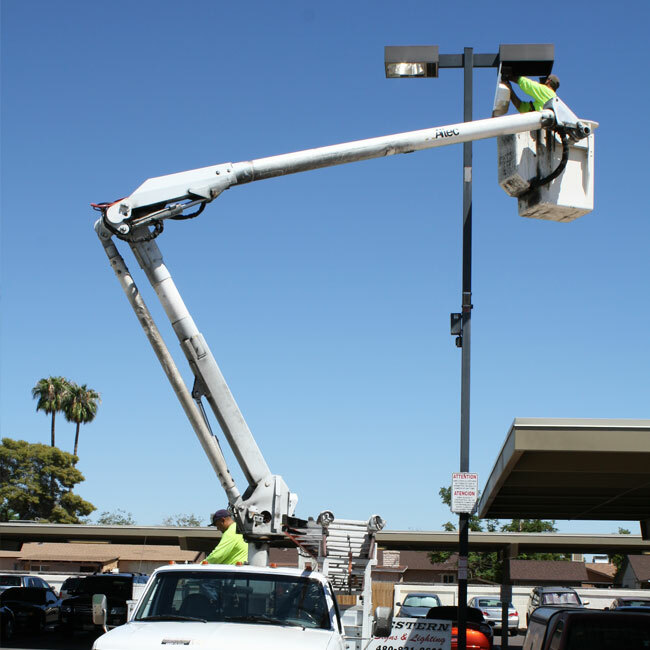 If you are searching for sign repair or maintenance in Phoenix, Mesa or Chandler, Western Signs & Lighting, Inc can help!